You can access your accounts online at any time to check balances, verify transactions or do reconcilements. This easy access provides you with timely data for forecasting and decision-making. Plus, with this information at your fingertips, you can monitor and control your daily cash position and potentially reduce borrowings. Review all of your accounts, business and personal. Review transactions since your last statement as well as all transactions from your previous statement. Review loan payment history, including interest/principal payments. This feature allows you to create electronic transactions that the bank will forward into the Federal electronic payments system. The most common type of ACH transaction is Direct Deposit Payroll. Other electronic payments can be arranged for vendors/suppliers who can accept electronic payments. 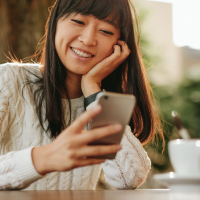 Our Online Banking allows you to create one-time or recurring wire transfer instructions. Set up one-time transfers between accounts, or create your own schedule of recurring transfers. Transfer funds from checking or savings to make loan payments. An easy way to add Stop Payment instructions to your accounts. If you have a staff that regularly needs to access your accounts, you have the ability to assign account access and authority levels for individual staff members. An anti-fraud service offered as a way to help protect companies against altered checks and counterfeit check fraud. 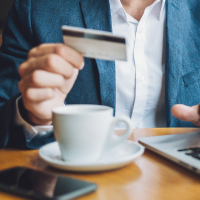 Citizens Online Banking allows you to download your transaction information into Quicken / Quickbooks using the WebConnect Feature. Click here for the Quicken Support page where you can find answers to common issues. Click here for the Quickbooks Support page where you can find answers to common issues. Intuit, Quicken and QuickBooks are registered trademarks of Intuit, Inc.
For more details, call (575) 647-4100 and ask for a business banker. Simplify your day-to-day spending with a Visa debit card. Convenient and secure. Experience hometown banking wherever you are.